Hello! My name is Katrina and I’m a pharmacy student at the University of Wyoming. During my time as an intern at Altitude Drug, I will be writing a weekly blog for you all to read. 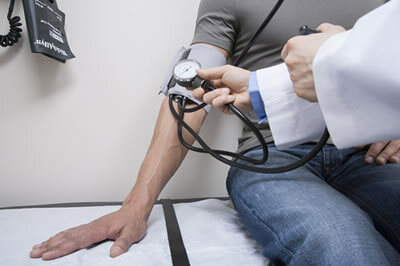 The first topic I chose to blog about is high blood pressure. I chose high blood pressure because it is one of the most common health conditions in the United States. Although it is a common condition, not everyone may be aware if they have it or not. High blood pressure doesn’t usually have any signs or symptoms in its early stage. The best way for you to know if your blood pressure is high is to visit your doctor and have it checked, or you can purchase a blood pressure cuff at your local pharmacy. An average healthy blood pressure is considered 120/80, however, newer guidelines say that anything less than 140/90 can be considered normal as well. Even though there may not be any symptoms of high blood pressure, don’t ignore it! If you do, you are increasing your risk of a variety of other health problems. Your chance of having a stroke increases. If the pressure is too high in the vessels delivering blood to your brain, they can become damaged. Or your heart may enlarge on one side, and this can eventually lead to a heart attack or heart failure. Heart failure means that your heart has weakened, and doesn’t pump your blood forward as well as it is supposed to. A common sign of heart failure is a cough, because fluid is backed up and building up on your lungs. If you visit an eye doctor, they may be able to see blood vessel damage when they look at the vasculature in your eyes. Also, your kidneys can become damaged because of the increased pressure in their blood vessels. The main idea I’m trying to get across is that your blood pressure is a big deal! Your heart and blood vessels are connected to all the organs and parts of your body, so it is important to control the pressure they experience. Why do we get high blood pressure? As we age, our blood vessels harden and become less stretchy. When your heart contracts, pushing your blood forward, the vessels are less able to stretch with the increased force like they once did. This increases the pressure in the vessels, as well as makes your heart have to work harder to do the same job. If you are diagnosed with high blood pressure, your doctor will likely start you on a blood pressure medication. There are four general classes of drugs used to lower blood pressure. ACE-Inhibitors (lisinopril, enalapril) and Angiotensin Receptor Blockers (valsartan, losartan) prevent your kidneys from reabsorbing sodium, and this decreases the amount of water in your blood. Thiazide (hydrochlorothiazide) diuretics also decrease the amount of water you have in your blood, decreasing blood volume and pressure. Calcium Channel Blockers (amlodipine, nifedipine) cause your blood vessels to relax and stretch. And lastly, Beta Blockers (metoprolol) slow your heart rate. Each medication class has different side effects. Ask your pharmacist any questions you may have about your medications next time you have them filled. Of course, we always have to recommend a healthy diet and exercise! These are the best things that you can do for your blood pressure and your health overall. Reduce the amount of salt you eat to less than 2,500mg per day. That may seem very difficult to do with all the processed food these days, but it can be done if you plan ahead. Reducing the amount of salt you eat will reduced the amount of water you retain. Remember, drugs prescribed for high blood pressure work by reducing the amount of water you are retaining as well. Increase the time you are physically active to 30 minutes a day for most days of the week. This will keep your heart strong and may naturally reduce your blood pressure. If you smoke, quit! Smoking causes your blood vessels to constrict, which increases your blood pressure. In conclusion, please pay attention to your blood pressure and have it checked regularly. If your blood pressure is less than 140/90, that means that your blood pressure medications are doing their job. Continue to take your medications as your doctor prescribed, and be sure to attend follow-up appointments with your doctor to see if there are any changes that need to be made. Thanks for reading and stop by Altitude Drug if you have any questions!